When you are interested in buying commercial property, what you wish to receive is clear title on a parcel of land and its improvements. You want to become the full and outright owner, with no one laying any claim to the land or money in the future. It is highly unlikely that you are eager to purchase a piece of land and are OK with the prospect of learning there are creditors waiting for payment or saying they have an interest in the property. That is why you should work with an experienced Boca Raton commercial real estate attorney who will conduct a thorough title search and, at the Law Offices of Larry E. Bray, P.A., we can also underwrite your title insurance. A clear or clean title means you acquire full ownership rights to a piece of property without there being any type of lien or claim against that property by creditors. No one else has any right to show up and say they have any ownership interest in the property. Title issues can vary from the relatively simple to the complex. It is essential to have an experienced commercial real estate attorney by your side when attempting to purchase a commercial property. If a title issue arises, your lawyer can explain your rights, responsibilities, and legal options. 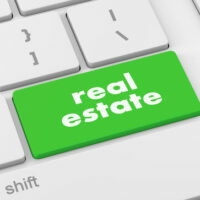 To determine if you can receive a clean title in a commercial real estate transaction, you conduct a title search. Generally, this search entails finding and reviewing documents regarding the property’s ownership history. It determines whether the seller currently has full ownership interest in order to sell the property to you. If finds whether there are any restrictions or allowances that apply to the land, such as easements. The title search also uncovers any liens against the property, such as taxes, mortgages, mechanic’s liens, or other creditor issues. Even if the title search conducted by your attorney or a third party comes back clean and there are no problems, you should not move forward without insurance against future surprises. Title insurance is essential. A title insurance policy for you as the new owner of a commercial property protects you from financial loss if you discover in the future that another person or business has an ownership claim on the property. At the Law Offices of Larry E. Bray, P.A., we can conduct a title search for you, work with the seller to correct any issues, and then underwrite your title insurance through Attorneys’ Title Insurance Fund Services. Very few law firms are able to do this and provide you such comprehensive service. You can work with us for the entire commercial real estate transaction and avoid the cost of a separate title company.